FREE Art Workshops for young people in Heeley | IT'S HAPPENING IN HEELEY! 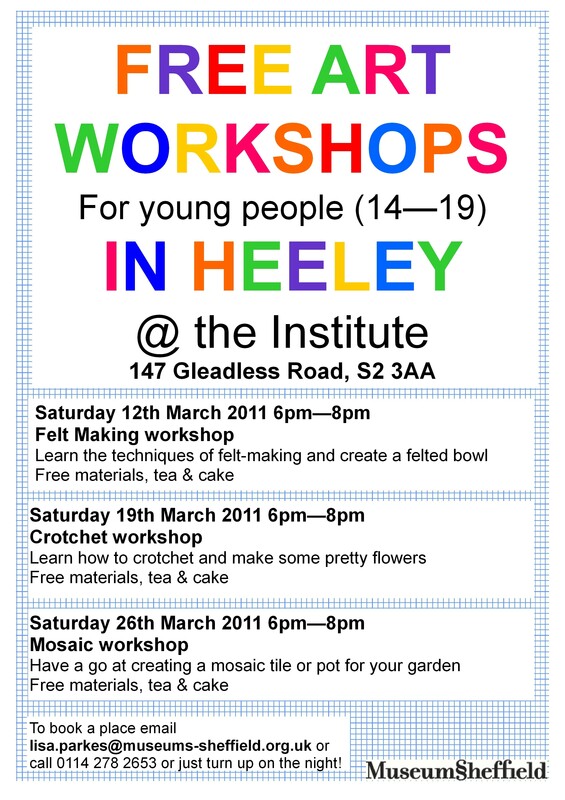 Museums Sheffield are running a series of FREE workshops for young people throughout March at The Heeley Institute, 147 Gleadless Road.The workshops are taking place weekly on Saturday evenings and will teach the techniques of felt making, crotchet and mosaic tiling. To book a place contact Lisa Parkes on 0114 2782653 (lisa.parkes@museums-sheffield.org.uk) or just turn up on the night!